Not only are tidal power plants invisible, they supply renewable energy regardless of weather conditions. 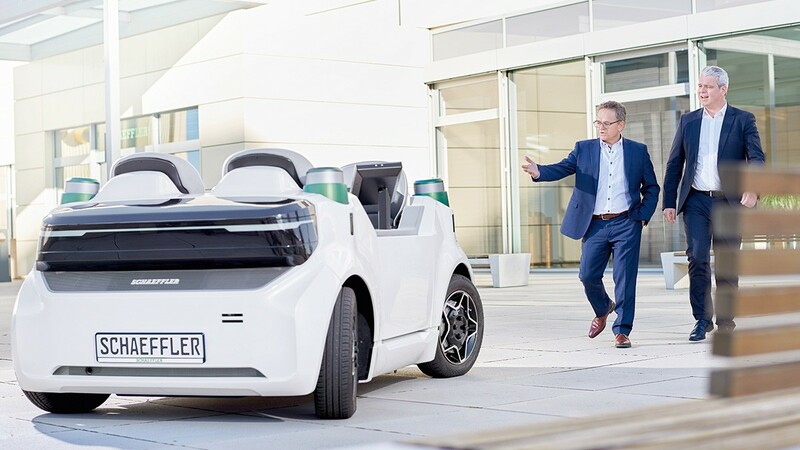 This technology is being tested in countries such as France and the Netherlands – with help from Schaeffler. At the testing facility in Afsluitdijk: Hans van Breugel, CEO of Tocardo, the Dutch turbine manufacturer. It is only a few steps from Hans van Breugel’s office to the testing facility in Afsluitdijk. The CEO of Tocardo, the Dutch turbine manufacturer, seems to be well known around here: Truck drivers passing him honk their horns, and Van Breugel waves back at them. “Once you get on the dam, you have to keep going all the way to Frisia, the entire 20 miles (32 kilometers)”, he says. The long dam is part of the E 22 European road system connecting the Dutch provinces of North Holland and Frisia. It was built in the 1920s to separate the IJsselmeer from the open sea and protect the shoreline from flooding. 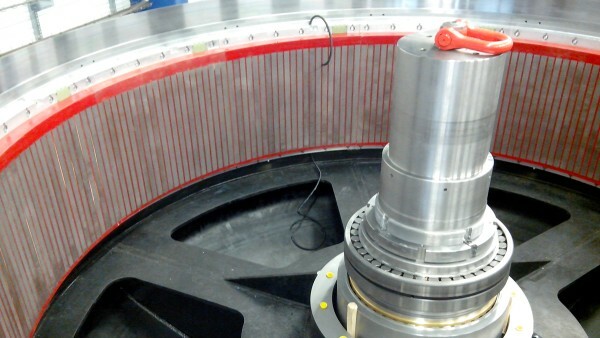 “For us, this is the ideal place for testing our turbines,” Van Breugel reports. 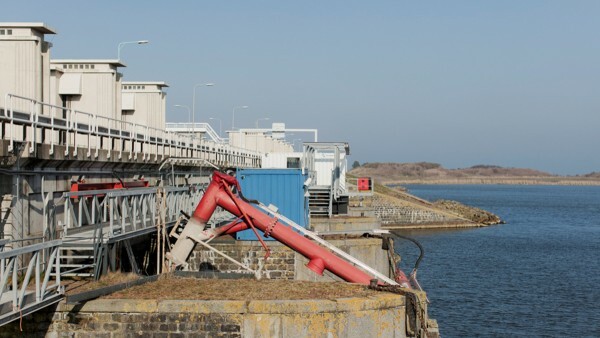 “The sluices are opened twice a day to let the water flow out of the IJsselmeer.” The water runs through four turbines Tocardo has installed right here at the sluice at a speed of 10 to 13 feet (three to four meters) per second. One of them, a prototype, has been endurance tested since 2008. The other three small T1 type turbines are production models with a power of 100 kilowatts each. They have been supplying electricity since the beginning of 2015 – and a huge amount of valuable data that the developers at company headquarters less than 500 feet (150 meters) away in Den Oever can use right away. The dam separates the IJsselmeer from the open sea. The sluices are opened twice a day to let the water flow out of the IJsselmeer. Tocardo has installed the turbines right here at the sluice. 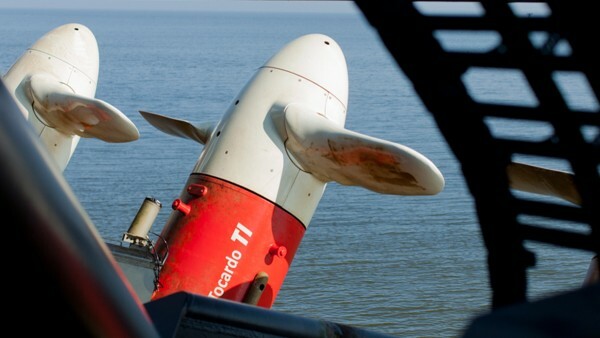 Their torpedo-shaped bodies and blades make Tocardo’s underwater turbines look like the outboard engines on large boats. They function in a way similar to directly driven wind turbines: Without the use of gearboxes, the rotary motion of the rotors is transmitted to a generator that produces the electricity. 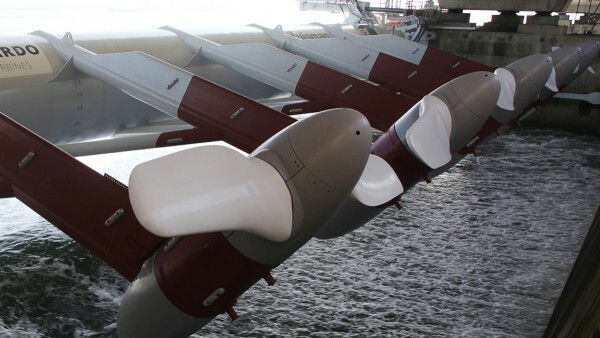 Since the density of the water is around 800 times higher than the density of the air – depending on the temperature – the rotor blades are considerably shorter than those of wind turbines. Three things are especially important to the developers of the underwater turbines: The optimal geometry of the rotor blades to catch as much current energy as possible, the right speed control for all current conditions and the safe support of the shaft in the aggressive salt water. Schaeffler worked closely with Tocardo engineers to develop maintenance-free tapered roller bearings that are also clearance-free due to the requirements for the seals. Our turbines are invisible under water and have little impact on the environment. 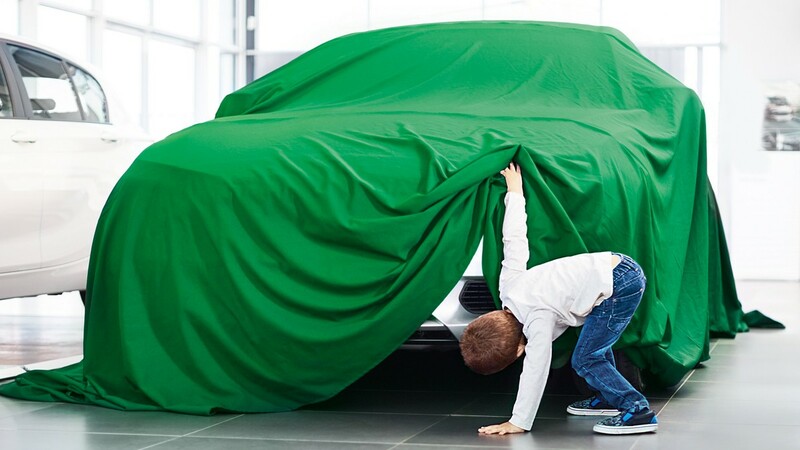 “We have eight years’ experience in the development of this trendsetting technology,” Van Breugel says proudly. 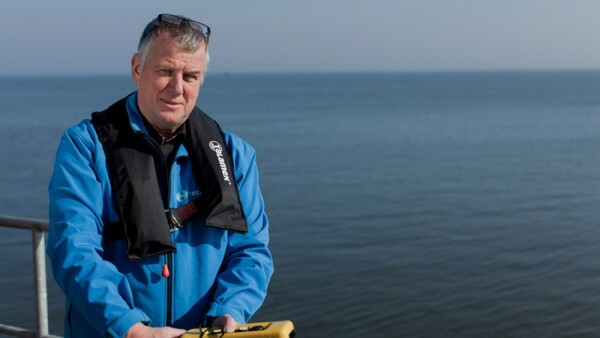 “Our turbines are invisible under water and have little impact on the environment. 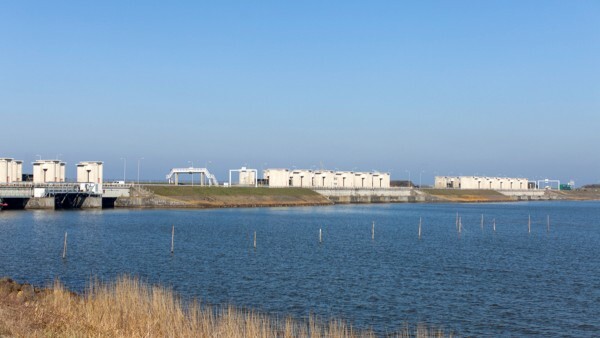 The greatest advantage of tidal power plants though is that, unlike wind and solar energy, we know exactly how much electricity they produce at any given time.” Since November 2015, Tocardo has been operating another facility on the “Eastern Scheldt” barrier in the southwestern part of the country. In the Netherlands’ largest tidal power plant, five 250-kilowatt turbines of the new T2 generation are in operation. Engineers are also working on other European coastlines to see how the force of the tides may be used to produce electricity. 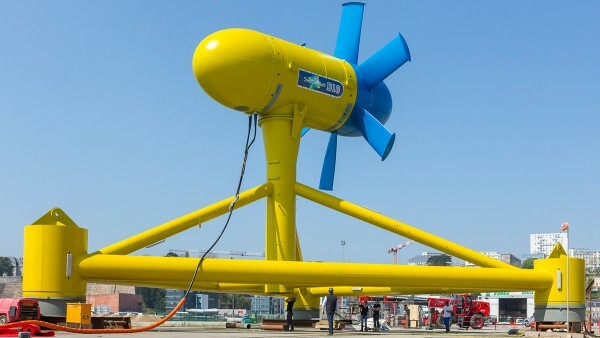 In June 2015, for instance, French turbine manufacturer Sabella installed France’s first ocean current turbine in a strait between two Breton islands. Unlike in the Netherlands, developers here are betting on size. With a total height of 56 feet (17 meters), a rotor diameter of 33 feet (ten meters) and a weight of 450 metric tons, the “Sabella D10” is a true colossus. The generator achieves a power of 1.1 megawatts. This does not have a negative effect on the generation of clean electricity: After being grid linked in November 2015, in January 2016 Sabella already was able to report the production of 50 megawatt hours of tidal electricity by its facility in Brittany. By that time, it had already survived the severe fall and winter storms without any damage. Supported by public funding programs, the manufacturer is currently working on the next generation, “Sabella D15,” which is expected to achieve a peak output of two megawatts. At both Tocardo and Sabella, expansion planning is well underway – and with good reason: Both companies see the worldwide potential for tidal power plants at 100 to 120 gigawatts. This corresponds to the output of 70 to 80 nuclear power plants and could someday cover ten to 20 percent of worldwide energy requirements. It is important to design the components with cost in mind. Hans van Breugel, who plans to launch his third generation of turbines with an output of one megawatt in 2018 to 2019, is especially counting on Schaeffler’s large product portfolio: “We need a wide range of efficient bearings to be able to scale the turbines,” he notes. After all, he wants to install hundreds of new turbines over the next three years, in particular in Great Britain and Canada. In 2019, Sabella intends to place two type D15 turbines on the ocean floor as part of a French government project. In addition, between 2019 and 2020, five D15 turbines off the coast of the Philippines and four identical turbines off the Indonesian coast are expected to start network operation. The production of clean energy from the ocean is thus entering the commercialization phase.